Chairing the meeting of the Parliamentary Consultative Committee attached to his Ministry here on Wednesday, he said that the crude steel production in India has grown by 4.3% in 2012. He also said that capacity of steel production in the country has increased from 66 million tonnes in 2009 to about 90 million tonnes in 2012. NEW DELHI: India’s Union Minister of Steel, Beni Prasad Verma has said that India continues to hold the 4th position in global crude steel production for the past 3 years. Chairing the meeting of the Parliamentary Consultative Committee attached to his Ministry here on Wednesday, he said that the crude steel production in India has grown by 4.3% in 2012. He also said that capacity of steel production in the country has increased from 66 million tonnes in 2009 to about 90 million tonnes in 2012. The functioning of Steel Authority of India Limited (SAIL) was the agenda of the meeting. Verma apprised the committee members that the per capita steel consumption has risen to 60 kg in 2011-12. The Minister stressed on the importance of conserving raw material resources in the country and elaborated on the measures taken by the Government. SAIL, a Maharatna PSU under the Ministry of Steel, is today the 7th World Class Steel Maker as per World Steel Dynamics. SAIL’s production of saleable steel has been 12.4 million tonnes, which is 112% of rated capacity. SAIL has five integrated steel plants that are undergoing expansion and modernization, the expansion activities of Salem Steel Plant of SAIL have already been completed. The members were briefed about the global and domestic steel scenario, functioning of SAIL and its performance on various parameters. Details of marketing initiatives and modernization and expansion plan were also discussed. They were informed that the company achieved profit after tax of Rs. 2170 crore during the year 2012-13. Some of the members complimented SAIL on its working, while some expressed concern over the progress of expansion plan and profitability of the company. Spot gold had dropped 0.3 percent to USD 1,388.15 an ounce by 0033 GMT after hitting its weakest since April 19 at 1,386.89 an ounce. Gold fell for a sixth session on Thursday in its longest losing streak since March 2009, after holdings in exchange-traded funds fell to their lowest in four years as rallying stock markets dulled bullion’s safe-haven appeal. US gold eased 0.64 percent to USD 1,387.30. SPDR Gold Trust, the world’s largest gold-backed exchange-traded fund, said its holdings fell 0.43 percent to 1047.14 tonnes on Wednesday from 1051.65 tonnes on Tuesday, their lowest since March 2009. 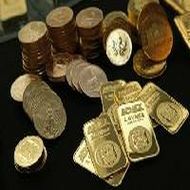 Sharetipsexperts offers free commodity tips for traders, with their free commodity tips commodity traders can make huge profit in commodity trading. Premiums for physical gold in India, the world’s biggest gold buyer, have jumped sharply this week due to limited supply after the central bank restricted imports to rein in a record current account deficit. The United States will rigorously enforce “without fear or fail” sanctions starting on July 1 that ban governments or private companies from selling gold to Iran, a top Treasury official said on Wednesday. Asian shares got off to a positive start on Thursday after data showed Japan’s economy accelerated in the first three months of the year. The euro declined to its lowest level against the dollar in six weeks on Wednesday.